With 15 platforms trading over 200 instruments in forex, spot metals and CFDs on US and UK stocks and commodities, IronFX Global serves retail and institutional customers from over 180 countries in Europe, Asia, the Middle East, Africa and Latin America. With 15 platforms trading over 200 instruments in forex, spot metals and CFDs on US and UK stocks and commodities, IronFX Global serves retail and institutional customers from over 180 countries in Europe, Asia, the Middle East, Africa and Latin America. With over 55 offices worldwide, and more than 1,200 employees providing support in over 45 different languages, IronFX clients can benefit from round-the-clock coverage delivered by one of the world’s largest and most accomplished global client coverage teams. The IronFX customer-centric model combines bespoke trading functionality through its platforms with the widest suite of products to offer the best pricing, execution and liquidity. Daily market news feed and insightful research give clients access to the best information and data to make informed trading decisions. Evidencing the leadership of IronFX Global in the worldwide online trading arena, IronFX Global has also announced its official partnership agreement with FC Barcelona, one of the most successful professional football clubs in the world. IronFX Global, your Solid provider of online trading, is delighted to announce this month’s DOUBLE BONUS BONANZA, offering clients the option to choose between the 100% SHARING BONUS on up to $10,000, and the 40% POWER BONUS on up to $4,000! This exclusive DOUBLE BONUS BONANZA promotion is available for a limited time only, starting from 00:00 (GMT+2) on 1 February 2015 and finishing 23:59 (GMT+2) on 28 February 2015. Choose your bonus NOW and boost your trading potential in the world’s best trading environment provided by IronFX, the Global Leader in Online Trading. IronFX Global values and rewards loyalty and repeat business. We have specifically created our Friends & Family Referral Program as a way of thanking you for the introductions of friends and family into the IronFX trading and benefits program. Simply notify IronFX Global of who you have referred for an account opening with IronFX Global and, upon verification, your account will be credited with FREE BONUS funds. IronFX Global is delighted to reward investors' continued trading loyalty by offering a Cash Rebate to its clients. $3 on every lot you trade! Cash Rebate account holders will have access to all of the Trading Instruments offered by IronFX Global, including forex, spot metals, stocks and futures. Micro and Premium account characteristics will apply depending on the level of investor’s deposit amount. Trade with IronFX Global today and be entitled to receive up to $3 with every lot that you trade with us. IronFX Global is thrilled to present exclusively to its clients the virtual trading contest for February, 2015! plus a personal account manager! The contest will take place from 1 February – 28 February 2015 IronFX wishes you Solid Trading! IronFX Global is thrilled to announce the launch of the IronFX Monaco Super Race, the biggest and most exhilarating live trading competition from IronFX to-date! Competitors can trade to win the top prize of $100,000 CASH or $150,000 STP/ECN account plus two VIP tickets to watch the Monaco Grand Prix aboard the IronFX superyacht, moored at the exceptional location of the Quais des Etats Unis, with prime views of the circuit de Monaco! With 120 cash prizes on offer, runner-up traders can also win up to $5,000 for their trading efforts! Register only once to compete in all 90 rounds – one for each day of the competition, and race to WIN! Existing clients can participate in the competition by opening an additional account. There will be three world famous classic racing cars for you to choose from! Pick your favourite and you will stay in that team for the duration of the competition. 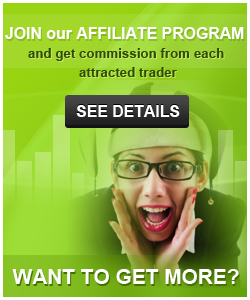 Trade to earn the most profit and WIN! 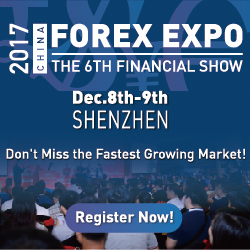 The best performing traders from each team and from the global rankings will win a fantastic prize. Deposit minimum $500 to start competing! 2. Contact IronFX to have the funds transferred from your old account to the new one. Ironfx in Europ Have Very Fast Growing! WOooo! It’s perfect, nothing to say! I love it. No matter how low the spreads it does not mean it is tight and consistent. The spreads of this broker are too large. Scalpers are now allowed with them. They are only good for a big fish trader. To win in Forex you must maintain the rules. Because without the rules there is no way to win in Forex. make sure that your strategy is perfect and try to ensure your money management. IronFX Broker is best form because it provides fastest withdraw process for your profits. Great broker, good spreads, very seldom requotes. Payment is fast and cheap - the support is very good.Ihighly recommend this wonderful brokerage!